"This courage will not be defeated" - sister-hood magazine. A Fuuse production by Deeyah Khan. Three Seconds Divorce is exactly what its name entails: a documentary about the so-called ‘Islamic’ practice, recently banned in India, whereby a husband pronounces ‘Talaq’ or ‘Divorce’ three times in a single occasion. Three seconds is all it takes for a married Muslim woman to be rendered a divorcee. India is not the only country to have discriminatory personal status laws and practices. Many majority Muslim countries and minority communities still uphold archaic practices in relation to marriage contracts. Husbands are seen as protectors and providers, in return for obedience and subservience from their wives. This perceived ‘degree of responsibility’ over women, stemming from their economic power as providers, has meant that classical Islamic scholars have interpreted Muslim personal status laws to give Muslim men privileges and special rights. Some examples of these privileges include to the right for husbands to divorce at will without reason (unilateral talaq) and to marry up to four wives (polygamy). In the case of India, these privileges also include a husband’s right to divorce his wife in three seconds. India does not have a codified family law where provisions and procedures of marriage and divorce are clarified. This means that practices like triple talaq are shrouded in confusion; interpretation is at the discretion of local religious leaders. It appears not only as a verbal pronouncement considered to constitute triple talaq, but also talaq written on paper, or sent via text message. Despite strong evidence from Islamic jurisprudence and legal traditions of the injustice of triple talaq, conservative groups vehemently defend the practice. Furthermore, cases in India show that triple talaq is strongly linked to the practice of taking dowry from the bride’s family and halala (whereby if a husband has divorced his wife through triple talaq and wants her back, she has to marry another man, consummate that marriage and divorce or be divorced from him, in order to return to her former husband). This is an uncodified set of discriminatory practices for which Muslim women pay the heaviest price. Muslims in India are the largest minority in the country and constitute 14.2% of the population. Due to a complex history and a precarious political situation, Indian Muslims have been embroiled in struggles for identity, religious freedom and minority rights. It is deeply challenging to discuss and debate rights of women within minority communities, especially in a context where the rights of the minority group as a whole lie in question. 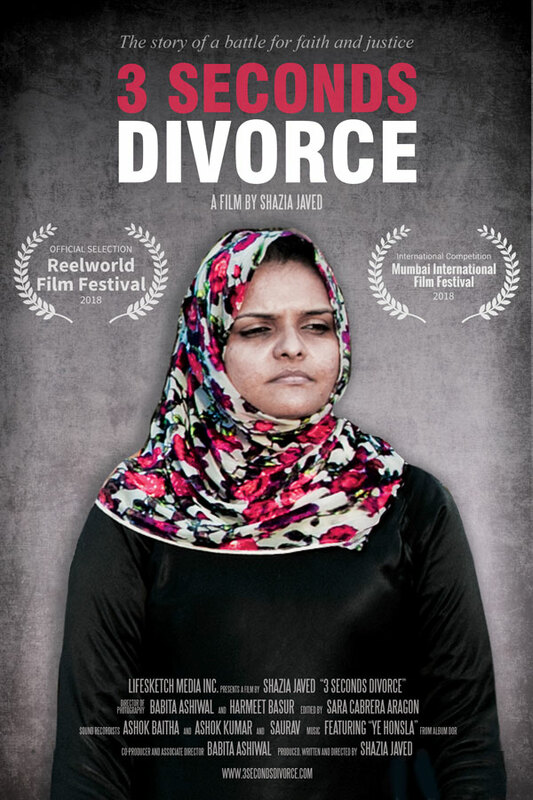 Shazia Javed, Director of ‘3 Seconds Divorce’ has done a tremendous job of creating a documentary on this topic, as seen through the eyes of Indian Muslim women themselves. The documentary centres on the everyday lives of Muslim women, including Lubna Choudhary who has first-hand experience of triple talaq. The documentary intricately weaves Lubna’s story of being abruptly divorced by her husband with the changes that this act brings to her entire life. Lubna describes it as ‘the sky falling apart’. The film brings you face to face with Muslim women who question how such deep injustice and discrimination can be justified in the name of a religion in which they strongly believe. It questions the motives of Muslim religious leaders who vehemently defend un-Islamic practices such as triple talaq and halala, discarding the core purposes of Shari’ah (Maqasid al-Shariah) which include the protection of the right to life, family and human dignity. When I saw at first-hand how these practices have destroyed women’s lives, I cannot help but wonder how entrenched patriarchy has become that it blinds Muslim men to the core message of the Qu’ran – which is standing firm for justice. Our Indian Muslim sisters, like many Muslim women around the world, are affected by discriminatory personal status laws and practices in the realm of marriage and divorce, to the extent that it may seem like a hopeless tragedy. Rather than portraying them as helpless, the documentary shows the bravery of Muslim women like Lubna, and those around her. 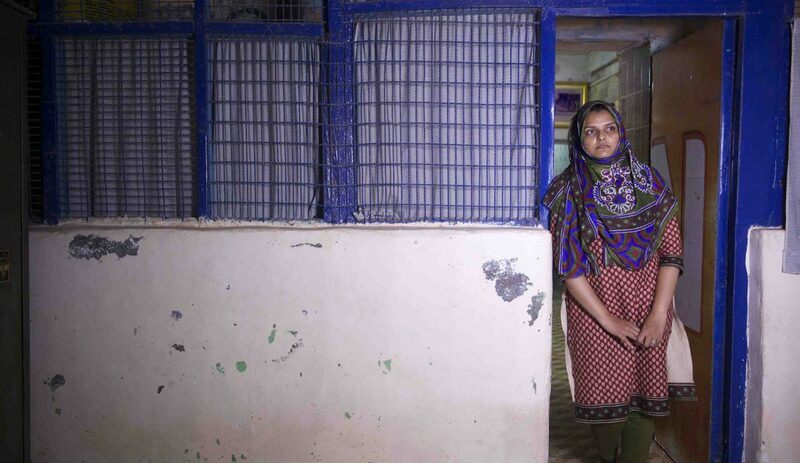 We see Lubna’s vulnerabilities, her fears and her pain, her financial struggles as a single mother and primary breadwinner: yet, we also see how she has transformed her life to support and help other women affected by triple talaq. The documentary follows the work of Bharatiya Muslim Mahila Andola (BMMA), or Indian Muslim Women’s Movement – a grassroots Muslim women’s organisation at the centre of the struggle for a ban on triple talaq and polygamy in India. Founding members Zakia Soman and Noorjehan Safia Niaz are characterised by fiery audacity and grounding compassion. It cannot be an easy task to take on so much opposition from Muslim men in a country that is home to the largest Muslim minority population in the world. The documentary shows how Lubna’s experience and those of other women like her, resulted in a collective and courageous uprising of Muslim women. These women are demanding their fundamental human rights as citizens from the State, but they are also standing up to reclaim the just and fair Islam that they believe in. In essence this is as much a fight for faith, as it is for fundamental rights. Indian Muslim women are building a future in which Islam can no longer be used to justify discrimination and injustice. This documentary is bearing witness. And bearing witness to a time where Muslim women are standing up for justice and equality as an act of faith, and bringing their own Muslim communities out of archaic patriarchal times in the process. Hyshyama is an activist and researcher working on women's rights and Muslim family law reforms. 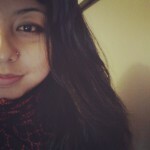 She is Sri Lankan born and was raised in Nepal. Occasionally, she dabbles in photography and poetry.